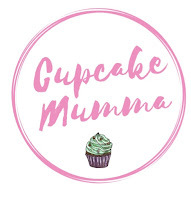 Cupcake Mumma: My Fears are Your Fears? My Fears are Your Fears? Give us a smile Midge?! Fears or phobias, we all have at least 1 right? I have a fair few. Probably too many to be honest but I'm not too bothered by most of them. Overall I only have one which really gets in the way of day to day life and that's my 'social phobia' (one of the ones many people just cannot even begin to understand) and some just don't bother me, like my fear of spiders. They're horrible little creatures with furry bodies and legs that carry them in all directions. I will not kill them though, oh no, I'd totally have to write that one in my prayer journal! These days I trap them under a glass and put them back outside with a 'sorry mate, my house not yours,' as a goodbye. I was thinking about my phobias and how they would (or apparently do) affect my children. We're probably talking about Midge here as, at 5 years old, she's a lot more able to read the signs of panic and fear in my expression and body language. She's more able to tell a petrified shriek than Little Man is after all. Midge is terrified of spiders. This is my fault. Before I realised that I had to grow a pair I continued to run around like a screaming banshee whenever one of the little blighters scuttled across my floor. Now, I've managed to 'man up' a bit and have even been known to grab, BARE HANDED one of those long legged grey ones *shudders* but this does not impress Midge and it is firmly rooted in her head that spiders are something to be scared of. Damn. As are drain covers! This is also a huge fear of mine. I once read about a toddler falling down one and from that day on I refused to stand on or walk on a drain cover should it give way beneath my pink converses. Even worse, should it give way beneath my daughter's. The chances of this happening? Close to zero right? But isn't that what phobias are? A totally irrational feeling. Your bodies way of protecting you from 'danger?' I don't know, but what I do know is my daughter now refuses to walk on drain covers. It's bad, but I sort of feel relieved. Like my worst fear of loosing her won't happen, at least in one way. I'm trying to get Midge to overcome some of her fears. She's scared of moths and even panics at flies being near her (you can imagine what summer is like in my house!) She is afraid of wasps (again my fault as I am petrified of them and this will never change I'm afraid- sorry Midge) and she is also fairly scared of dogs (often we have to cross the road if a dog is in our path) I think yet again she senses my panic and fear. I do not like strange dogs and for that matter I am not keen on dogs that are known to the family, so convinced am I that they are an 'accident waiting to happen.' It's a shame because I was brought up with so many animals and truth be told, I'd love a dog! But I won't, not until the children are grown up and understand that dogs, like people, need space! Do your children have any fears and do you ever blame yourself for perhaps 'encouraging' that fear? I think I have been pretty open and honest in saying that yes, I do believe these fears my daughter has developed are most likely by witnessing my reaction to those 'incidents.' Some are life's experiences in her already short life so far. What do you make of all this? Oh i forgot about them! I actually like them but Midge doesn't like them because I guess they are flying spiders really arent they! Ah, don't blame yourself too much. I am trying to hide my spider phobia in front of my children but I don't do a great job! When we bought our house it had been empty for a while and was INFESTED! I would swing a broom wildly to frighten the spiders off, smiling at my children through gritted teeth!